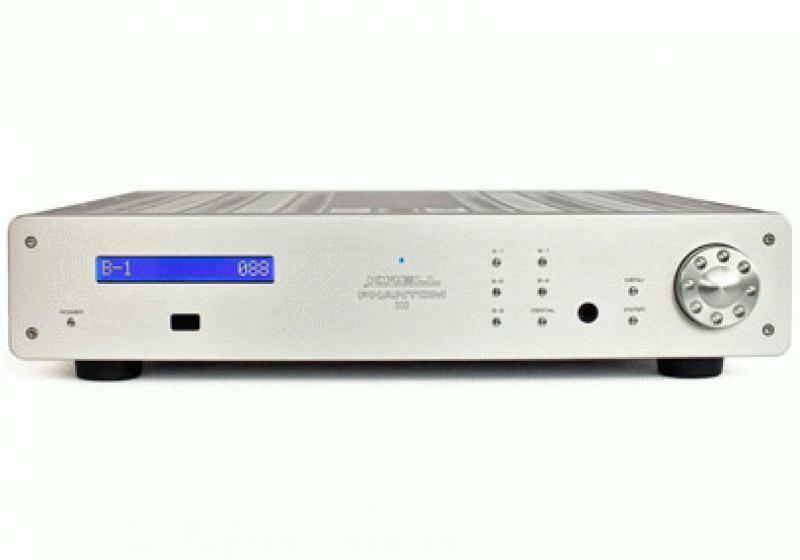 In today's music-server-driven world, the trend in audiophile preamps is to merge the digital-to-analog converter (DAC) with the traditional stereo preamp, which makes for a somewhat new form factor that music lovers, audio nuts and gear-heads are rejoicing over. Krell's Phantom Series of preamplifiers now replaces the Evolution Series, which was Krell's top offering. The Phantom line is significant to Krell fans and audiophiles, as it's the first line of preamps designed since the departure of Krell's founder. • Read more stereo preamplifier reviews from HomeTheaterReview.com's staff. • See more reviews in our Amplifier Review section. • Explore Bookshelf Speakers and Floorstanding Speakers in our review sections. The Krell Phantom III reviewed here is the least expensive preamplifier in the Phantom line, but it is certainly not an entry-level product - far from it. The Phantom III has much of the technology featured in its more expensive siblings, but possesses a different feature set. Notably, the Phantom III is the first Krell preamplifier to come equipped with a headphone output and optional DAC module. 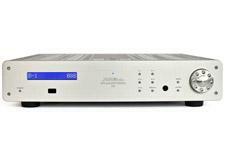 Our review sample came equipped with the optional DAC module and retails for $7,000 (non-DAC-equipped models are $5,500). The design philosophy of the flagship Krell Phantom preamplifier continues with the Phantom III. Like its big brothers, the Phantom III line-level preamplifier is a fully balanced, dual monaural design with separate power-supply regulation and circuit boards for each channel. The circuit boards utilize surface-mount technology with proprietary multiple-output current mirrors that offer higher open-loop linearity than traditional designs do. The circuitry also features a higher-than-normal bandwidth design (700 kHz), which is said to push signal artifacts well beyond the range of human hearing. The design uses no negative feedback. Krell's Current Mode design utilizes current rather than voltage to transmit the signal, which is said to be better-suited to taking advantage of the higher-than-normal circuit bandwidth, as well being more immune to signal distortion than traditional voltage-based circuits are. Krell believes the sonic benefits to the current-based system are well worth the increased cost that comes with the nearly threefold increase in parts count and increased engineering burden. The volume control is via a balanced resistor ladder to minimize the impact on bandwidth and transient response of the circuitry I described above, regardless of the volume setting. The headphone output is Krell's first. The circuitry for this is identical to the main circuitry in an attempt to provide headphone listening with the same performance as speaker playback. Headphones are booming like no other specialty audio/video product category, so many people will appreciate this design addition. All of the circuitry described above is powered by an oversized power supply that features a 95VA transformer and 40,000 µF of capacitance. Despite the size of the power supply, the Phantom III has a new, eco-friendly standby mode that reduces power consumption to two watts. Since the introduction of Krell's "e" series products, the company has pushed to make Krell products draw less power when in standby or running idle. In addition to the headphone output, the optional digital module is another Krell preamplifier first. The optional DAC module has AES/EBU, coaxial and optical digital inputs that accept LPCM signals up to 24-bit/192-kHz. All digital signals are fed to an ESS Sabre ES 9018 DAC. Some of you will recognize this as the same DAC being used by Oppo, McIntosh and many others. Krell states that its implementation of this popular DAC is different than that of other manufacturers because the resulting analog signal is kept in its native current (rather than voltage) domain. The signal is then sent to Krell's Current Mode, the discrete, balanced analog circuitry described above. Those who might think that Krell just stuck in the DAC chip from a $500 Oppo Digital Blu-ray player would be very much mistaken. All of these audiophile goodies come neatly packaged in a nicely finished chassis that shares the current industrial-themed Krell aesthetic. However, the Phantom III does not include the polished and curved faceplate insert that's featured on its big brothers, as well as the Evolution and Foundation Series products. A relatively short height of 3.8 inches allows the Phantom III to be placed in nearly any shelf space that can accommodate its 18.25-inch depth. Despite its relatively compact size, the Phantom III weighs in at a solid 23 pounds; I suspect much of that is due to the hefty power supply. Audio inputs include three pairs of single-ended inputs and two pairs of balanced inputs; outputs include one pair of each, plus the aforementioned 0.25-inch headphone jack. Control and trigger connections are also provided for integration and automation. Integrating the Phantom III into my stereo systems was quite simple. I tried the Krell in different systems, mated with amplifiers from McIntosh, Krell and Halcro. All line-level connections were made with balanced cables. The Krell's depth made placement in shallow racks difficult, but I had no problems setting the Phantom III up in my Billy Bags racks. The relatively short height of the unit allowed it to fit into even the shortest rack spaces. While ventilation is always important, I never found the Phantom III to get especially warm during long listening sessions. I used power conditioning by Richard Gray in one system and the Tributaries T200 in the other. I tried both Transparent Ultra MM2 cables and Kimber Select cables, as both are revealing and have worked well with a myriad of components that have crossed my threshold. Sources included the McIntosh MCD500, Oppo BDP-95, and PS Audio PerfectWave DAC MKII (review forthcoming). The Phantom III was a plug-and-play operation. Beyond connecting a few cables, no other setup was required to start my listening. However, those who so desire can customize the default settings for input name, trim levels, balance, triggers, etc. 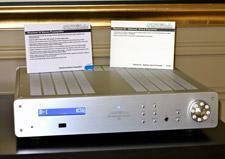 Read about the performance of the Krell Phantom III preamp on Page 2.